There are a ton of out-of-the-box software solutions for eCommerce companies. A quickly Google search will reveal dozens of ‘customizable’ solutions that claim they are perfect for your business. But if you’re really looking for a unique product and true customization, you have to build your own eCommerce software. It’ll set you apart and be more scalable in the long run too. Of course, you can hire an in-house team, and hopefully that team can produce a great product. But finding developers with eCommerce software experience can be tricky, and in-house development can be expensive — both in time and money. Instead, consider outsourcing your eCommerce software. eCommerce is one of the industries best-suited for outsourced software development. It will save you time, money, and a whole lot more. See below for the four biggest advantages to outsourcing your eCommerce Software. Outsourcing is almost always cheaper than in-house development, but this is particularly true for eCommerce software. According to SourceSeek’s most recent Global Software Services Report, the average hourly rate for an eCommerce software team comes in at $29/hour. That is almost 7% lower than the average rate for all outsourcing projects of $31/hr. It is also certainly a lot lower than in-house development (we typically estimate that offshore projects cost about 50% less after everything is said and done). Just because offshore software teams are relatively inexpensive, that does not mean that they lack quality or experience. In fact, the average offshore team with a specialization in eCommerce has 8+ years of experience, and has an average project size of nearly $130,000. You would be hard pressed to find an in-house developer with that much eCommerce software experience, let alone an entire development team. Finding an offshore team that fits your existing or preferred technical stack is no problem. 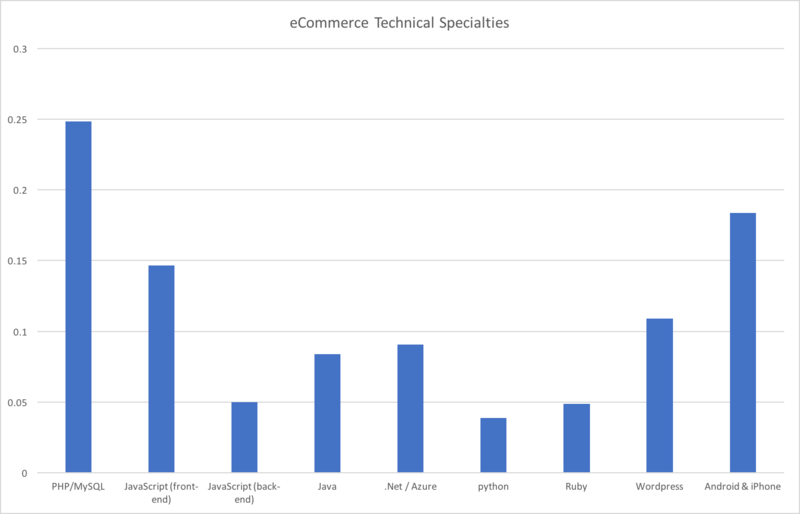 Of the over 300 teams within the SourceSeek network who specialize in eCommerce, there is great diversity in technical skill. There are teams of eCommerce experts with specialties in almost every language. 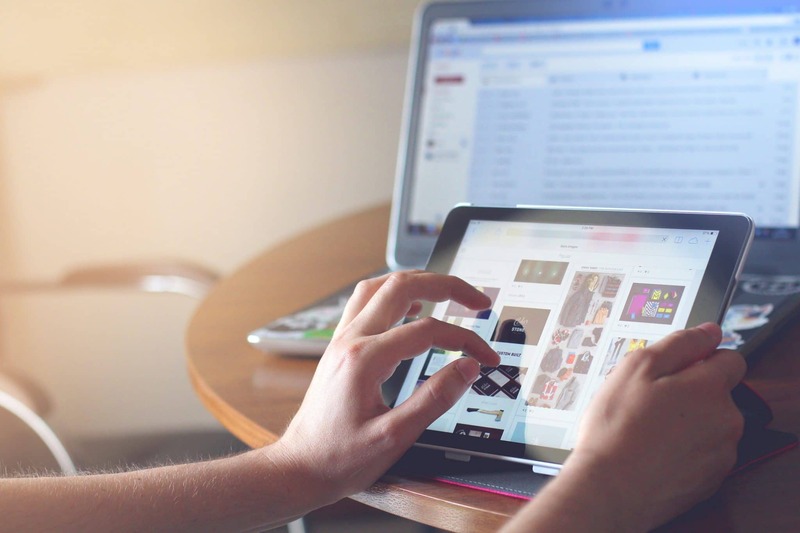 Below are eight of the most popular technologies among eCommerce experts, but there are many more. This breadth of technical abilities gives you great flexibility. For example, you can easily find a team to help integrate eCommerce software with other products. Or, you can find a single team to build your web and mobile presence at the same time. According to our Global Software Services Report the average eCommerce shop has 48 full-time developers on staff. So when your site starts to take off, or you have a new initiative and need more technical talent, you won’t have to spend time hiring more in-house developers. Instead, you can work with your existing team to add eCommerce developers with loads of experience to your project in a matter of days. There are many ways to get your eCommerce site up and running, and there are pros and cons to each. However, if you’re in it for the long haul, want to make a truly unique site that is scalable and cost effective, there is no doubt: outsourcing is the way to go. The price is right, and you’ll get access to developers with deep experience and build amazing eCommerce software. To download the entire Global Software Services Report, click here. If you’re looking to get matched with a hand-picked software team for your next project, contact us anytime.